I finally got some tomatoes put away for the winter. Made juice too. An expert told me about pressing the skins through a food mill for a thicker juice. It looks and tastes great! 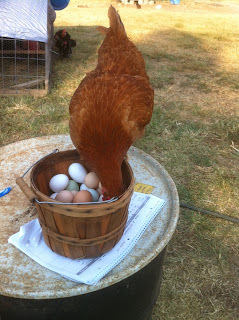 It will make an extra special brunch beverage this fall! There is a sweet satisfaction upon hearing the "ding" of jars sealing as they cool! What if every completed task was accompanied by a sound of success? 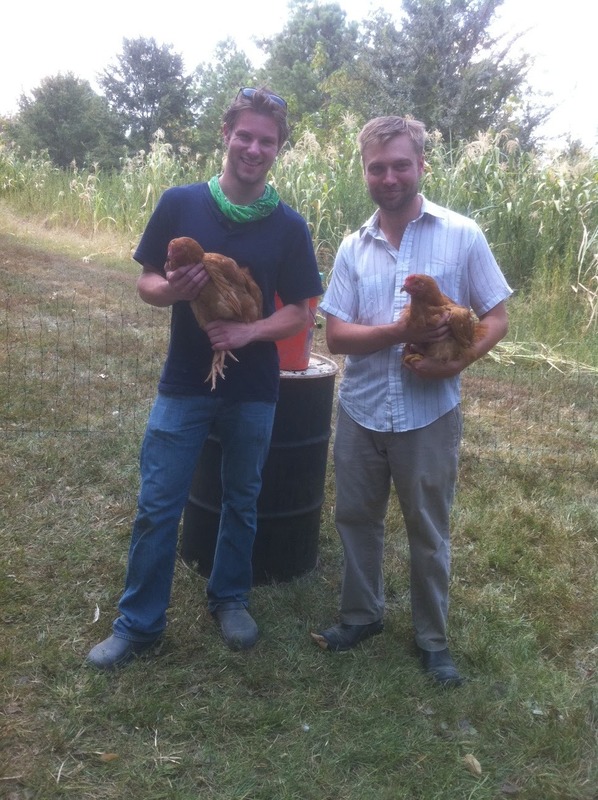 Today, Tom Bayless and Josh Habiger came out and helped with the farm work and made friends with the hens and pigs too. 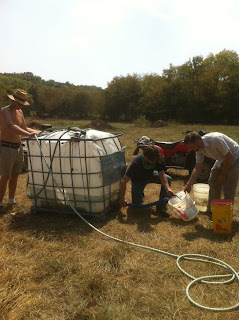 We flipped a tank of water as we hauled it out to the sows this morning (the ladies love the aqua). 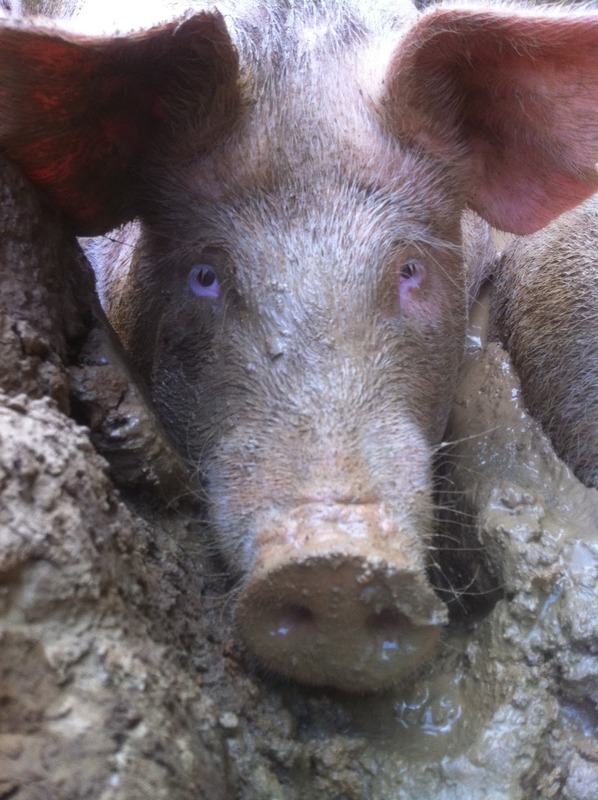 So we pumped what we could with small pump that attaches to the cordless drill and bucketed the remainder to the pigs. It was nice to have two pairs of extra hands.